Watch "Project Edubat - Education Taking Flight"
Bats are amazing animals that are vital to the health of our environment and economy - eating tons of insects nightly, pollinating flowers, and spreading seeds that that grow new plants and even trees. CLICK HERE to wach a webcast "Project Edubat – Education Taking Flight” to learn more about these important animals. 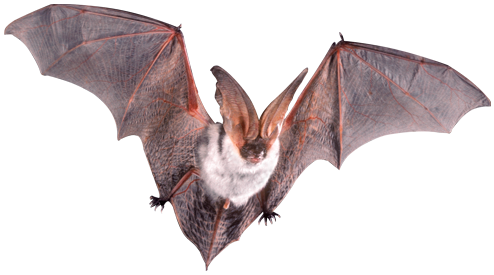 This webcast features activities, resources, and lesson plans to help you teach both children and adults about bats. Learn how to use newly developed bat educational trunks that will be available across the country for your use! Special appearances by live bats and a few of our favorite bat experts including: Cathy Johnson, U.S. Forest Service; Dianne Odegard, Bat Conservation International; Ann Froschauer, U.S. Fish and Wildlife Service; and Leslie Sturges, The Save Lucy Campaign. BatsLIVE: A Distance Learning Adventure brings bat conservation to life through webcasts, webinars, and online education resources. Bats are vital to healthy ecosystems and human economies worldwide. As primary predators of night-flying insects, bats consume enormous quantities of agricultural pests and reduce the need for chemical pesticides. Yet these wonderfully diverse and beneficial creatures are among the least studied and most misunderstood of animals. Bats are threatened worldwide, and their colonies and habits are destoyed — both intentionally and inadvertently — because of myths, misinformation, and lack of scientific knowledge and understanding. CLICK HERE to watch the Bat Basics webcast and learn about bat species, White-Nose Syndrome, and how to help these facinating mammals. 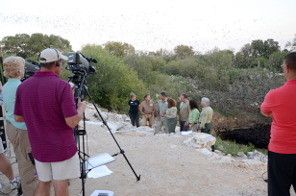 CLICK HERE to watch the Bracken Bat Cave webcast and learn about the world's largest bat conony. CLICK HERE to watch the webinar, Cave and Karst: The World Beneath our Feet. Join in CITIZEN SCIENCE activities involving bats in your state. Check out all the FREE RESOURCES on this web site. 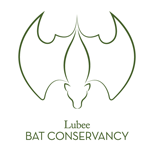 Connect to the LEADING BAT CONSERVATION ORGANIZATIONS in the world. CLICK HERE for FAQs about bats.